Loved being able to customize these steel bottles! It was such a pleasure working with this company! The team at CEP makes it so easy! Highly recommend this eco-friendly company! I personalized these earth-friendly steel slim bottles for our shop, they have really been a huge success. A+ on these eco-friendly steel bottles. A good alternative to plastic bottles, that looks better too. These eco-friendly steel bottles are sleek and compact. They are very convenient to have around. Everyone likes the look of these eco-friendly steel bottles. I like the fact that they are helping us save the earth and promote our company. We were able to market ourselves nicely, by using these eco-friendly bottles at all the events we attend. I love the staff at Custom Earth Promos. The always answer all my questions promptly and really take the time to get things right. We were able to take a "going green" initiative by purchasing these eco-friendly steel bottles. Good luck finding a better deal on these bottles. Custom Earth Promos got me under budget and I couldn't be happier. I'm ordering 5,000 of these slim eco-friendly steel bottles for my upcoming convention. I'm anxious to see how much exposure I gain. I have a good feeling. Really easy process from start to finish. I'm lucky that I found this company. Great products offered on this site. I very easy and accessible company to work with. 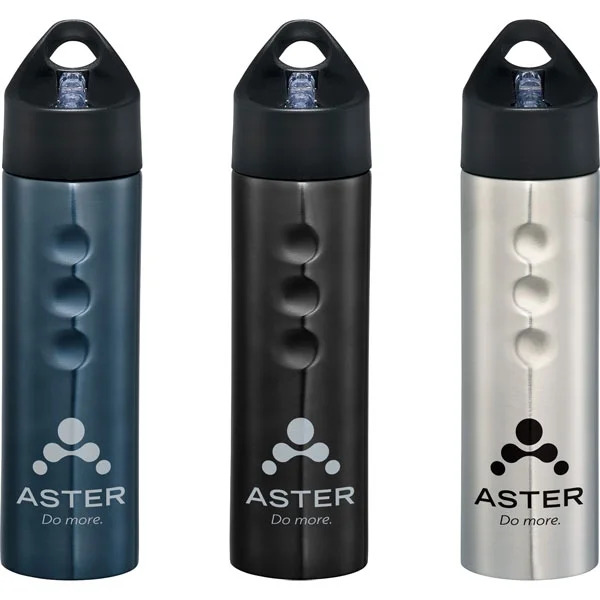 Our Custom Printed Stainless Sports Bottle is perfect for any beverage! The chic, simple design is a great addition to any company’s promotional product repertoire. Customize the product to your liking, adding your brand logo and picking the color that compliments it the best. An eco-friendly bottle and an easy product to get your name out on, our newest bottle is sure to dazzle! 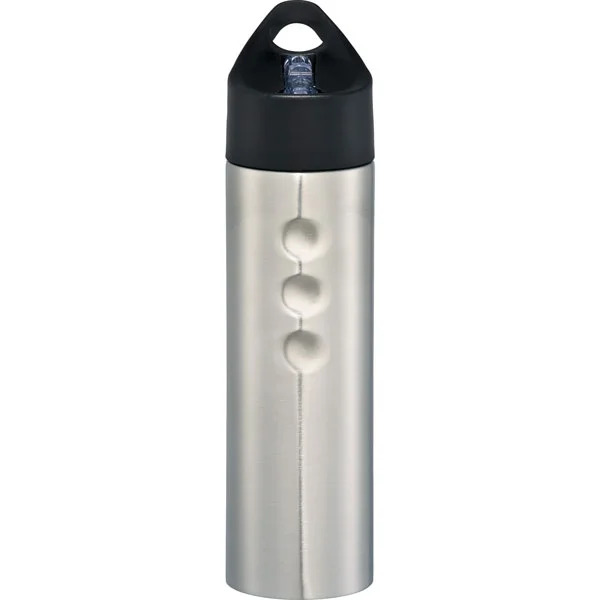 Looking for a bottle to hold hot or cold contents? Our Custom Printed Stainless Sports Bottle is good for outdoor climates, making it a go-to for any trip to the gym, park, or beach! 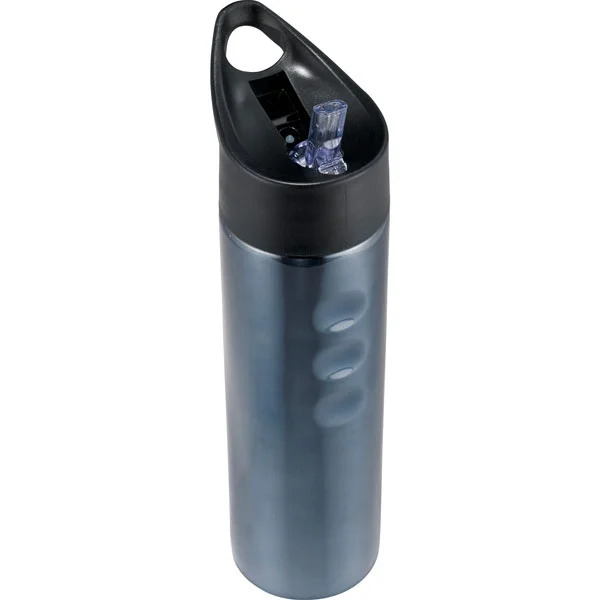 The 25 ounces allows for a large amount of liquid to be put in, and carrying is easy with its portable size. The sleek design gives an air of class to this product, touching on the needs of a variety of businesses. The simple colors to pick from and an easy design lead more attention to the business logo! Your company can mix, match, and experiment to make the most of their customization process. Spill-resistant design is great for travelling with the bottle, even on rough terrain! The durability makes the bottle strong enough to be reused over and over, giving it it’s eco-friendly trait. You will find the most use out of your newest product! When it comes to making your company promotional product, let Custom Earth Promos help you along the process. When creating your new Custom Printed Stainless Sports Bottle, you’ll be able to have access to our attentive sales personnel, as well as using our virtual spec platform to take your personalization overseas! Your product will be able to make the most impact on your audience while remaining easy to make and budget-friendly!